First-time blockers are always amazed by the difference blocking makes to the final project. 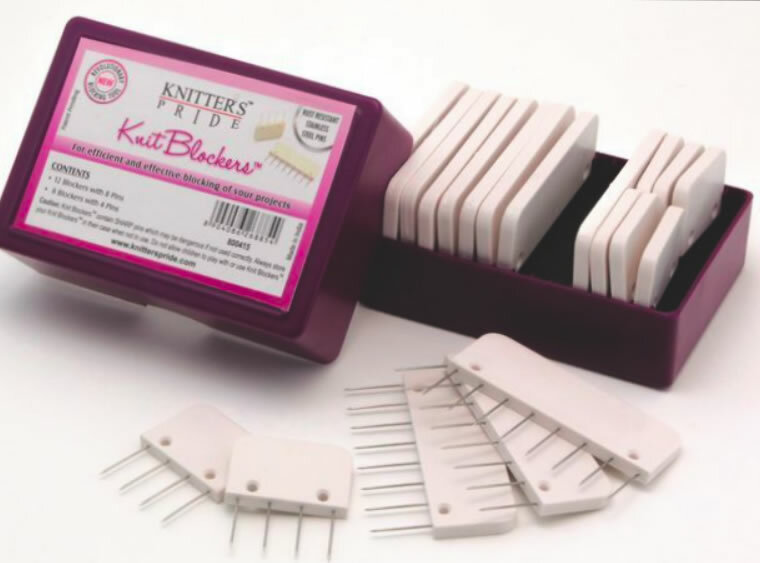 A novel and original idea to block knitting projects…….guaranteed to make knitting lives easier!! How to use Knit Blockers - "Click here"
This set is a combination of the short and the long set, great for all kind of projects. From shawls to cardigans and baby blankets. Straight, circular or scalloped edges. 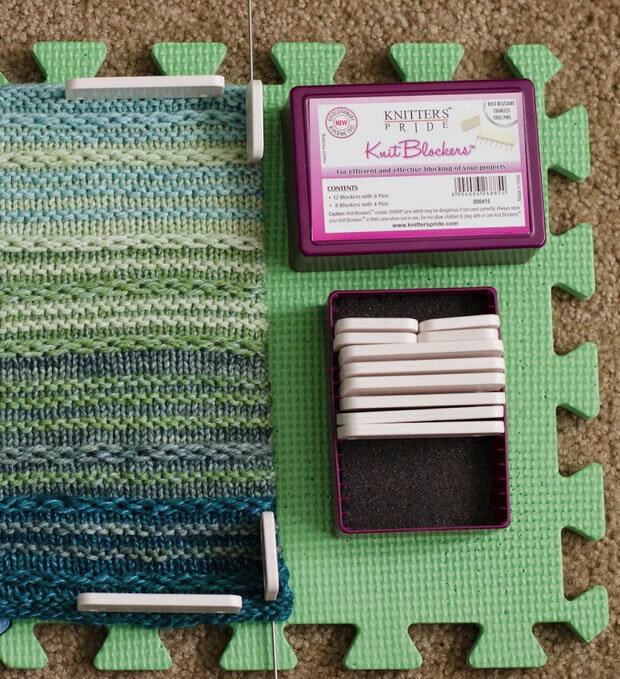 Knitter's Pride Lace Blocking Mats come in an assorted set of 3 colors, pink, green and blue in a clear plastic storage bage and allow you to adjust the size of your blocking area to suit your project. 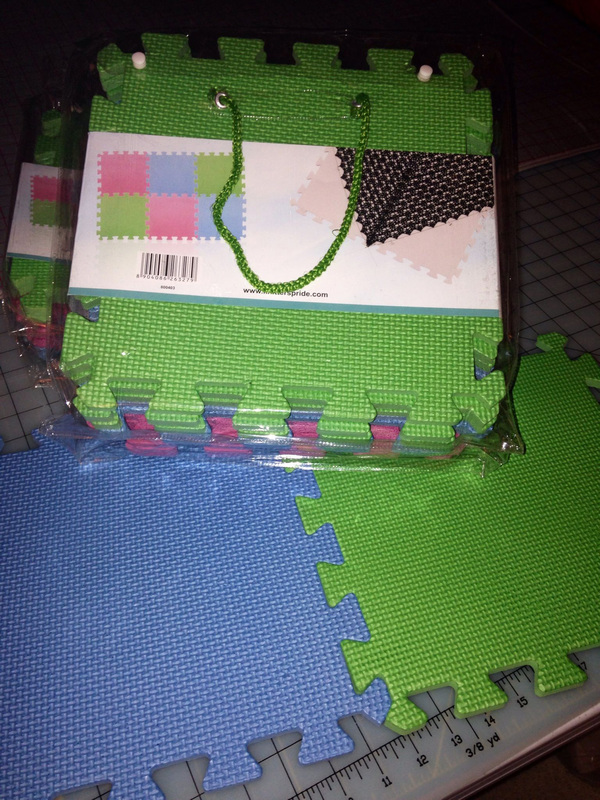 The set comes with 9 mats, each measuring 12x12". 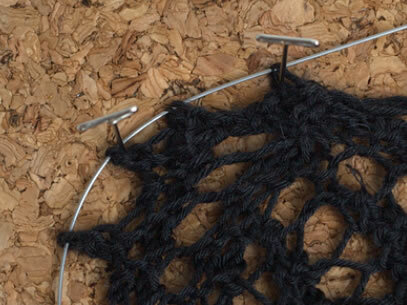 The mats can be used individually for projects like mittens and gloves, or can be easily joined together for larger ones. 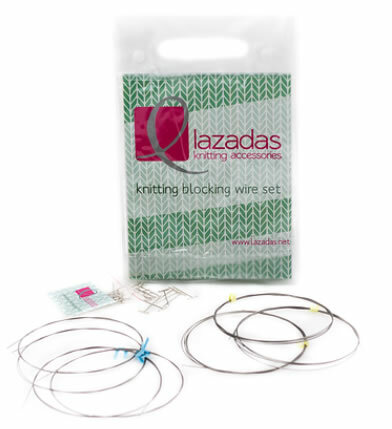 Used with Blocking Wires and T-Pins, these Blocking Mats work great to open up lace patterns . 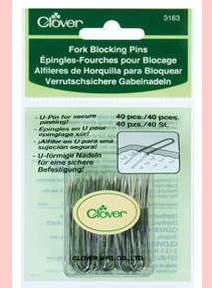 Clover Fork Blocking Pins are a U shaped pin that is like using two pins at once. They will keep even the most slippery material in place. 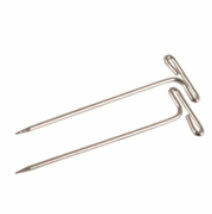 The round root part is bent for easy use. 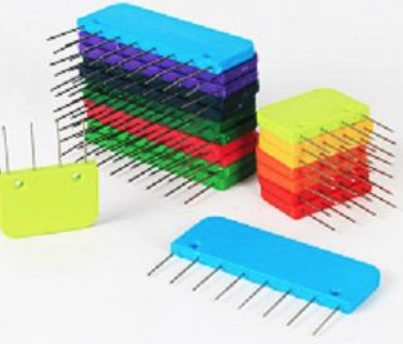 These pins come in a handy reclosable case. Caution, pins may heat up during steam blocking. Please allow them to cool down before removing.